Tribute to Karen Carpenter. Tickets are $20.00. 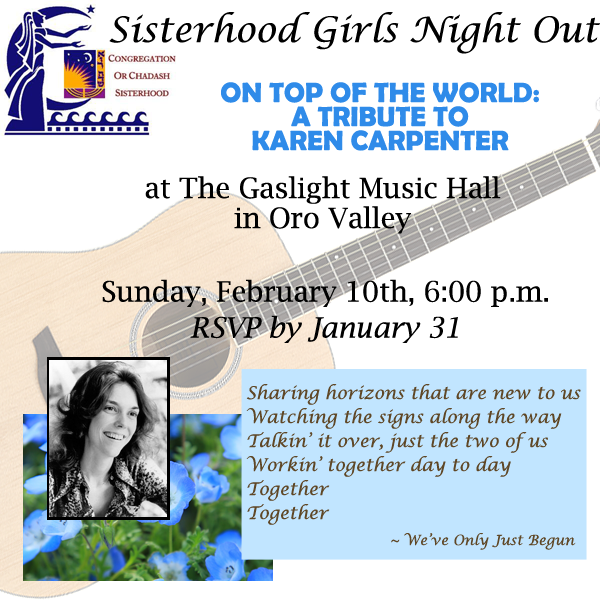 Invite a friend to join you at this “Top of The World” event. RSVP to Nancy Lappitt at (520) 404-9459.